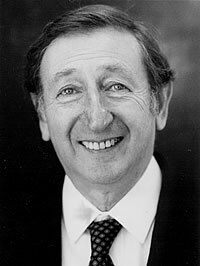 Dr David Patterson, Founding President of the Centre, died in Oxford on 10 December 2005, aged 83. As creator of one of the most prominent research institutes for Jewish Studies outside Israel he played a key role in the emergence of Jewish Studies as an autonomous academic discipline. David was born on 10 June 1922, the youngest of four children, in Liverpool. His maternal grandfather had arrived there in about 1870 from Warsaw. David’s father was a native of Kolo, a largely Jewish town in what is today Poland, and came to England in 1900. Patterson had a happy childhood, studying at Oulton High School and displaying musical as well as linguistic gifts. Leaving school in 1940 with his Higher School Certificate in Latin, Greek, German, French and English, he volunteered for the RAF but because of his excellent mathematical skills he was designated as ‘reserved occupation’ and was sent to work as an engineering draughtsman, contributing to Sten gun production and later the Halifax bomber. It was at about this time that he was inspired by the Zionist youth movement Habonim, as well as by the visions of Zionist authors in Czarist Russia such as Chaim Nachman Bialik (1873-1934), who saw the revival of the Hebrew language and of a Jewish enlightenment (Haskalah) as key to the Jewish future. Contemplating emigration to Palestine, from 1945 he studied Hebrew and Arabic at Manchester University. In 1949 he graduated with a First Class degree and was appointed Principal of the new Habonim Institute in Manchester, set up to train youth leaders. There he met José Lovestone. They married in 1950 and in the fullness of time had two sons and two daughters. In 1951, however, they moved to Israel. The backbreaking work of stone clearing to create kibbutz farmland near the Syrian border did not provide a sense of fulfilment. David left to teach in Israeli high schools, where his modest manner and incomplete mastery of contemporary slang made life difficult. In 1953 Professor H. H. Rowley invited him to return to Manchester to take up a newly created post as assistant lecturer in modern Hebrew literature. In 1956 he was appointed to the Cowley lectureship in post-Biblical Hebrew at Oxford and in 1965 became a founding fellow of St Cross College, one of several postgraduate colleges which provide a social base for staff previously without a college fellowship. David hoped that his college would provide a home for a Jewish studies centre. When the idea failed to materialize, he turned in 1967 to Alan Jones, an Arabist colleague in the Oriental Studies Institute. With his advice and that of the Oxford University registrar, Sir Folliott Sandford, David guided his proposal through a maze of committees, emerging after five years with authorization to establish the Oxford Centre for Postgraduate Hebrew Studies, which was later renamed the Oxford Centre for Hebrew and Jewish Studies. All he lacked now was funds. David laboured tirelessly to persuade friends of the Centre in the United Kingdom and the United States to support his vision of an institution of high academic commitment and quality which would welcome scholars and students of all religions and tendencies. David’s own scholarly activities were devoted to analysing the foundation of modern Hebrew literature in nineteenth-century Russia and its development in Palestine and the State of Israel. He leaves an oeuvre of eight monographs, many volumes of translation and over a hundred articles. His first love was the early modern Hebrew writers. His studies of Abraham Mapu (1964) – recently re-issued – and of The Hebrew Novel in Czarist Russia (1964) have become classic introductions to this literature, which was written in an experimental Hebrew reflecting the fact that the language was being revived for non-religious purposes, and in a state of flux. His ability to translate these difficult works into readable English was uncanny. By providing visiting fellowships at the Oxford Centre for contemporary Israeli novelists (the first five holders of the post were Aaron Appelfeld, Amos Oz, Dalia Ravikowitz, Yehoshua Kenaz and A. B. Yehoshua, acknowledged luminaries of modern Hebrew literature but virtually unknown at the time) David had created the academic environment for them to produce new Hebrew works. He insisted that the Centre cover the widest range of specialisms from Yiddish to the Dead Sea Scrolls and, aided not least by his beloved José, did his utmost to ensure that the scholars received the nurture of a friendly, high-quality institute. 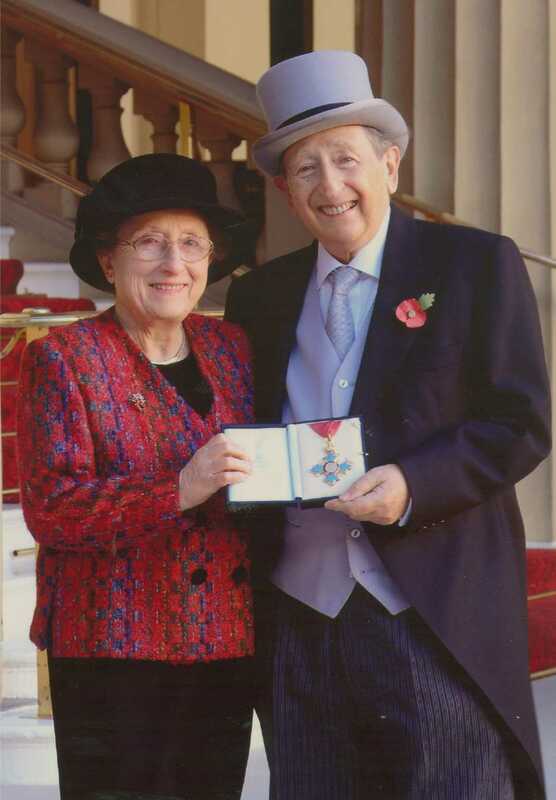 The award in 2003 of a CBE was a source of special pride, because the citation was the first ever ‘for services to Jewish studies’. Many of the Centre’s past visiting fellows, scholars, students and associates were moved to write and express their sadness at David’s passing, thereby acknowledging his teaching skills, his scholarly activities, his foresight and determination, and perhaps above all, his immense kindness and good humour. Of course the best commemoration of David, and the one that he himself wanted above all others, will be to consolidate and develop the work of the Centre, carrying it (in one of his own favourite phrases) from strength to strength.